Join us this Easter as we explore the colourful world of Roald Dahl. 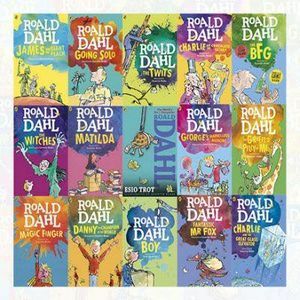 Through drama, craft, games & activities we will delve into the many wonderful worlds Roald Dahl has created for us, playing with characters & storylines to bring our favourite books to life. Children will even be given the chance to create their own whimsical & crazy characters and will work together to create a small showcase of their favourite stories which parents are invited back to watch at the end of each day. These workshops are aimed at 4-11year olds. £20 per child. Places are limited so book now to avoid disappointment.